Despite their transfer ban, Chelsea continue to be linked with potential signings this summer in a bid to strengthen Maurizio Sarri’s squad. As noted by BBC Sport, FIFA have denied the club’s request to postpone their two-window ban while they appeal the decision, meaning that the Blues are likely to be unable to add new players this summer. That in turn will significantly complicate matters for them, as while they continue to scrap for a top-four finish in the Premier League and continue to compete in the Europa League this season, it is arguably pretty clear that they need reinforcements to improve and raise their aspirations. Sky Sports note that a deal is already in place for Christian Pulisic to arrive in a £57m switch from Borussia Dortmund to bolster their attacking options, but the latest reports suggest that the midfield is also an area which Sarri wants to address with Mateo Kovacic’s loan spell set to end. As reported by The Sun, via the paper edition of Tuttosport, it’s claimed that Inter midfielder Matias Vecino is on their radar, and he could cost up to £26m to prise away from the Nerazzurri. It’s added that uncertainty over Sarri’s future at Stamford Bridge could scupper such a move as the Blues could make a change on the bench this summer, and so it remains to be seen if Vecino secures a reunion with the Italian tactician having previously worked with him at Empoli. The 27-year-old has established himself as a key figure at Inter since arriving in 2017, making 63 appearances for the club while scoring some crucial goals as they continue to battle for Champions League qualification this year too. 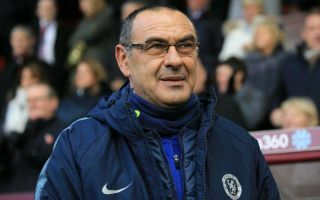 However, there are seemingly two major obstacles standing in the way of a move to west London this summer, as it remains to be seen if Sarri will still be in charge if Chelsea do successfully appeal against their transfer ban.